In honor of the approaching 28th annual Kagyu monlam in Bodh Gaya I would like to share a pith instruction of His Holiness the 19th Karmapa Rangjung Rikpai Dorje. While every year is special, and every Kagyu monlam is truly a wonderous event, this year’s monlam coincides with the 900 year anniversary of the birth of the first Karmapa, Dusum Khyenpa. This is a moment to celebrate and praise the history of the Kamstang Kagyu Lineage and all of its wonderous lineage holders, siddhas, yogins and yoginis. Emaho! I am humbled to know that His Holiness the 17th Karmapa, Orgyen Drodul Trinley Dorje will be leading the prayers along with the leading lineage holders of the Kagyu lineage. You can learn more about this year’s monlam, its schedule and special activities here. May we arrive at the far shore of samsara and nirvana- the great, spontaneous presence. May we enter the forest of the three solitudes, the capital of the forebears of the practice lineage. May we seize the fortress of golden rosary of the Kagyu. O what pleasure, what joy my vajra siblings! Let us make offerings to dharmakaya, the great equal taste. Let us go to the great dharmadhatu, alpha purity free from fixation. They have thoroughly pacified the ocean of millions of thoughts. They do not move from the extreme-free ocean of basic space. May the auspiciousness of the ocean of the protectors of being be present. 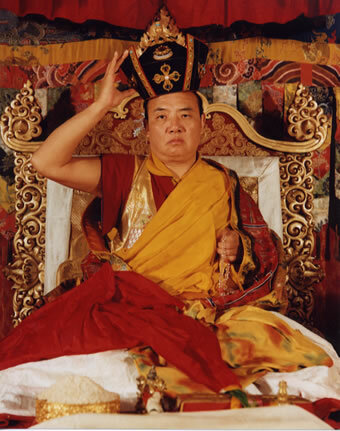 In the second month of the Wood Hare year (1976), [His Holiness] spoke these verses at Rumtek Monastery, the seat of the Karmapa, during the ground breaking ceremony for the construction of the Dharmachakra Center for Practice and Study.